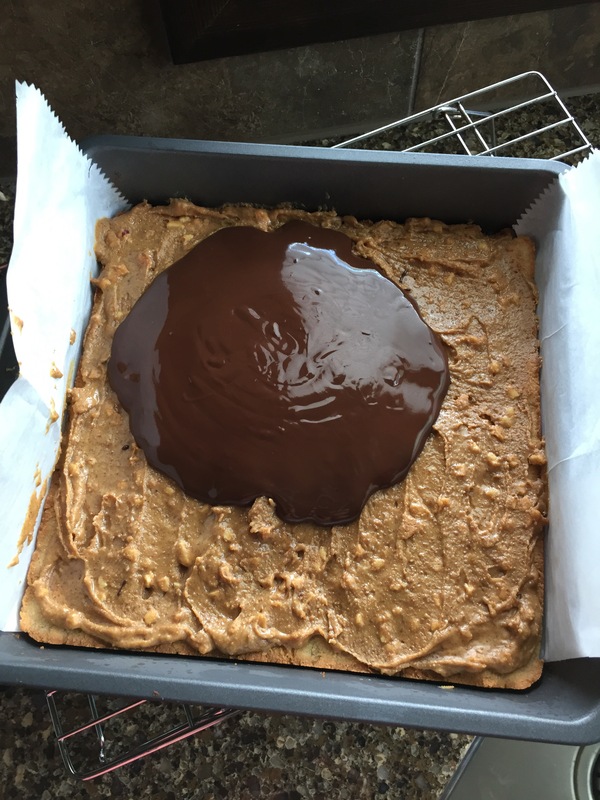 Sometimes in life, peanut butter and chocolate are called for. There is no substitute, in my opinion. 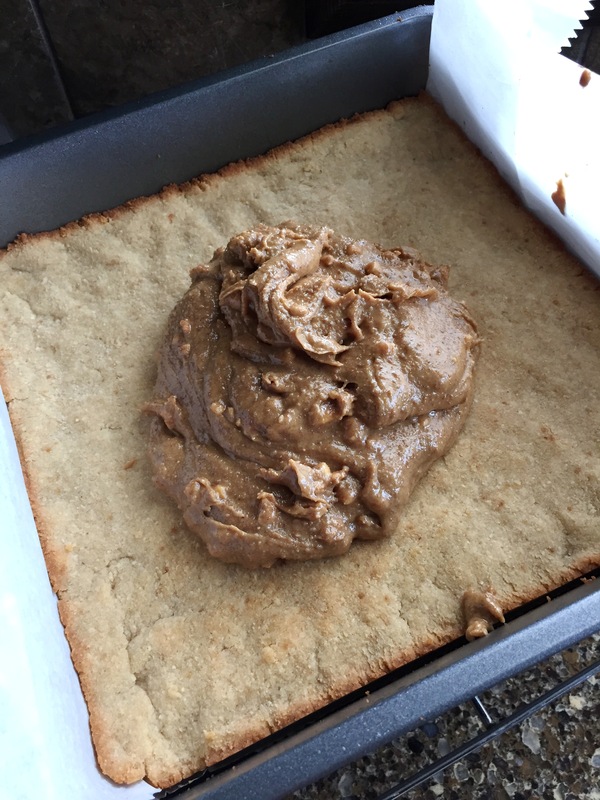 I don’t crave a lot of sugar luckily, but when I do, I think the perfect little snack is an organic dark chocolate square with a dollop of salty, crunchy, peanut butter. It’s quick, satisfying, easy, and doesn’t break the sugar bank. I’ve been trying to bake and cook and roast things here and there in order to have some back up items in the freezer. If you’re on an allergen free diet, specifically grain free and dairy free, you know what I mean. If you’re not prepared with quick and easy foods to eat, the kitchen can be a dismal place. There are days I stand in front of the fridge and the pantry several times and think, there’s just nothing to eat. But, you know as well as I do that isn’t true because most of us with food allergies have a plethora of vegetables in our fridges and healthy items in our pantry. That,” there’s nothing to eat thing ” just actually means that, #1 The fridge is full of things I don’t feel like preparing, or #2 That feeling that I would rather starve than eat yet another vegetable. I had a day like that yesterday. 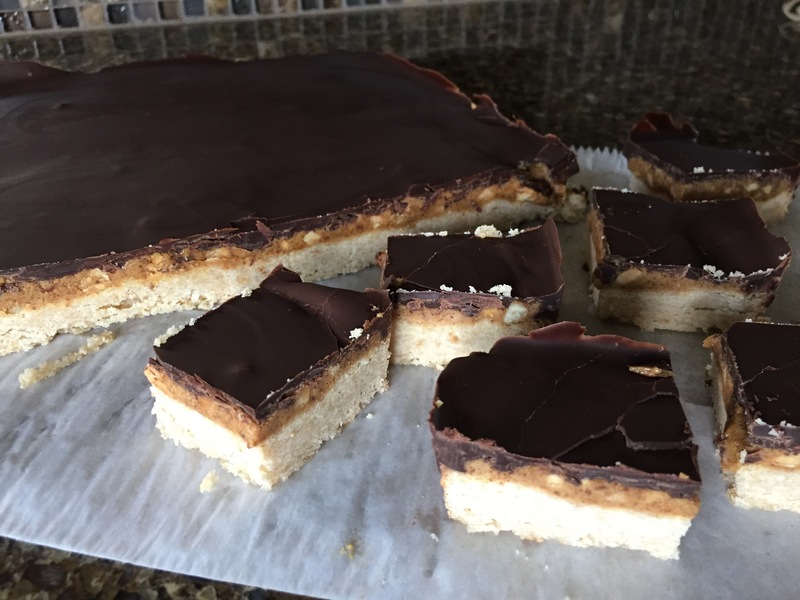 So, I made these peanut butter bars. I ate 2 and they hit the spot. And now I have several in the fridge for those days I need a little something special. 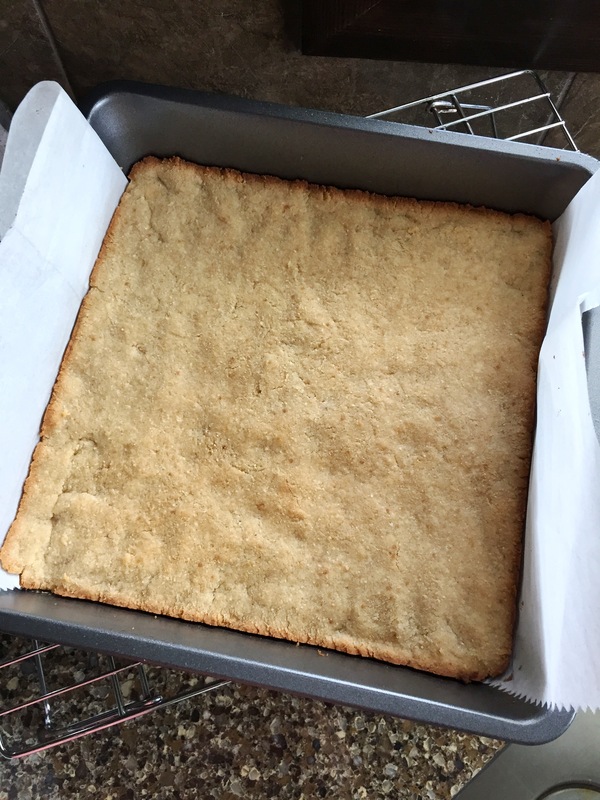 Line and 8×8 baking pan with parchment and set aside. Preheat oven to 350 degrees. Whisk all of the bottom layer dry ingredients in a medium bowl. Add the butter and coconut oil and stir well. 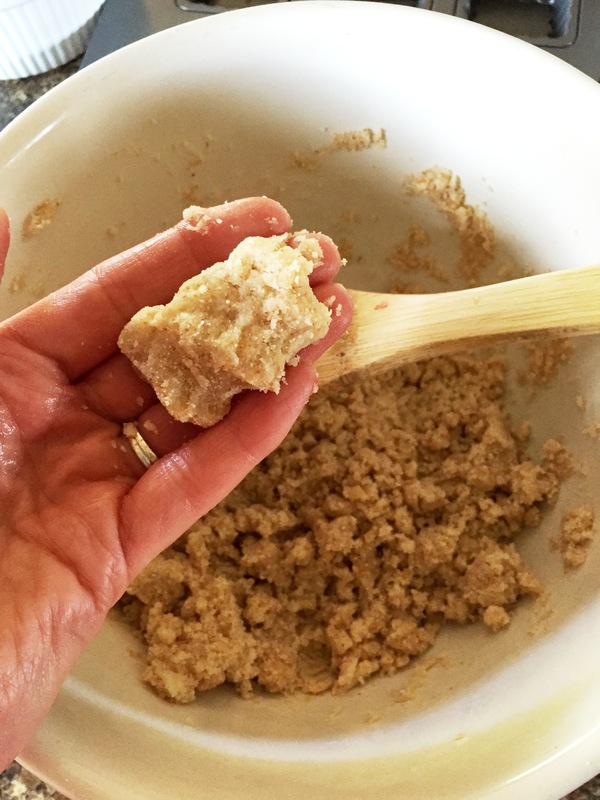 Begin adding the water one Tablespoon at a time, mixing after each addition. 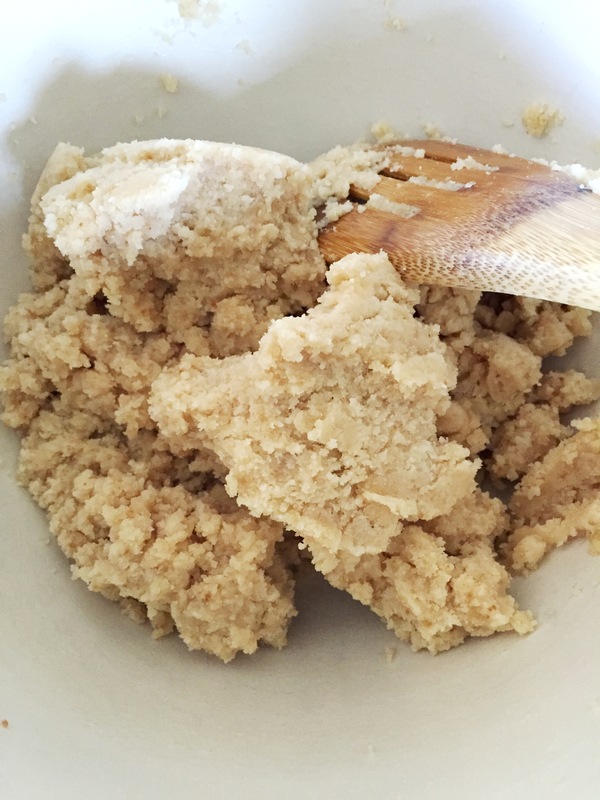 You want the dough to be of the consistency of cookie dough or slightly softer. (See picture above) Press dough into pan lined with parchment. Bake for 20-25 minutes until the dough is golden and no longer soft in the middle. Cool completely. 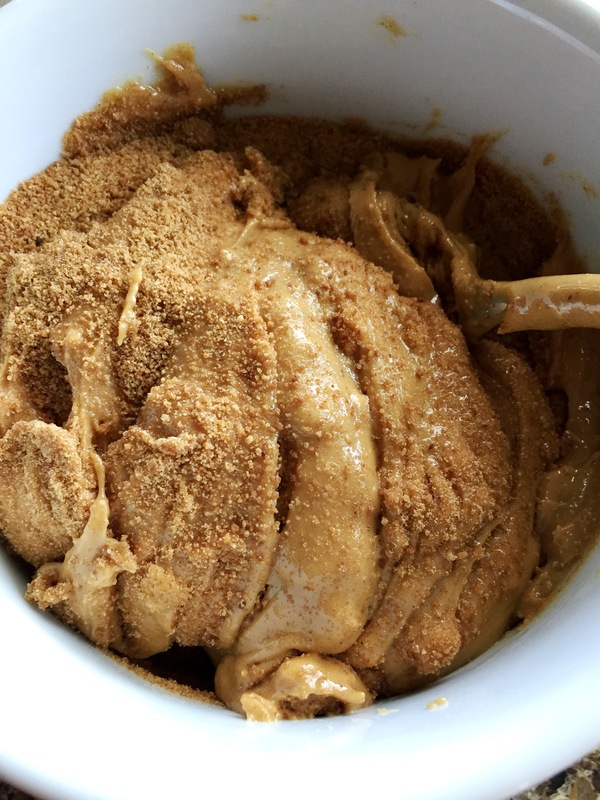 In a small bowl stir the peanut butter and 1/4 cup of the coconut sugar together. Spread over the cooled crust. 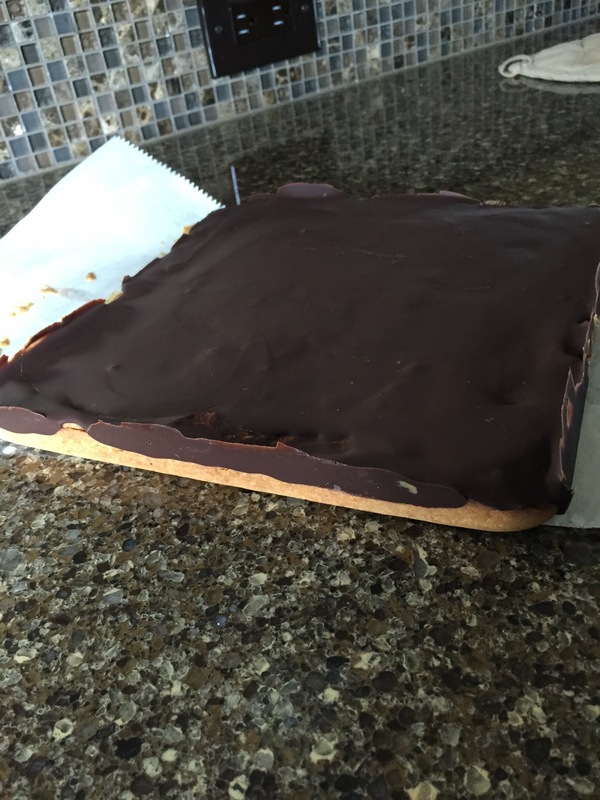 Place the bars in the freezer for 20-30 minutes. Meanwhile, melt the chocolate chips and coconut oil. 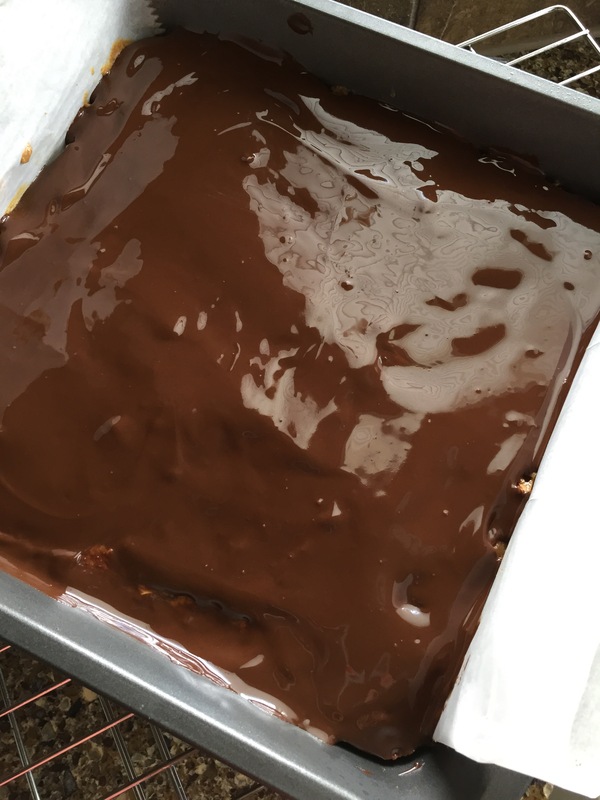 Remove the bars from the freezer, spread the chocolate and return to the freezer for another 30 minutes. 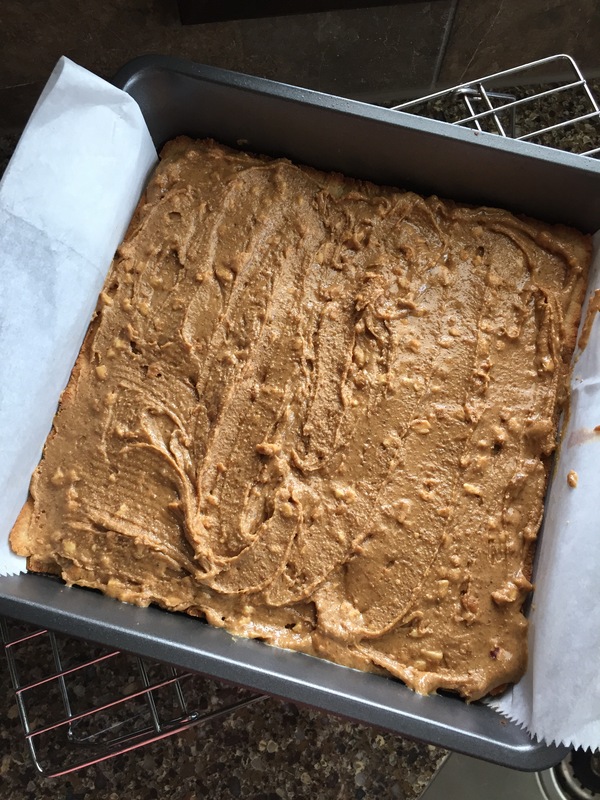 Remove the peanut butter bars from the freezer and pull them out of the pan with the parchment overhang. 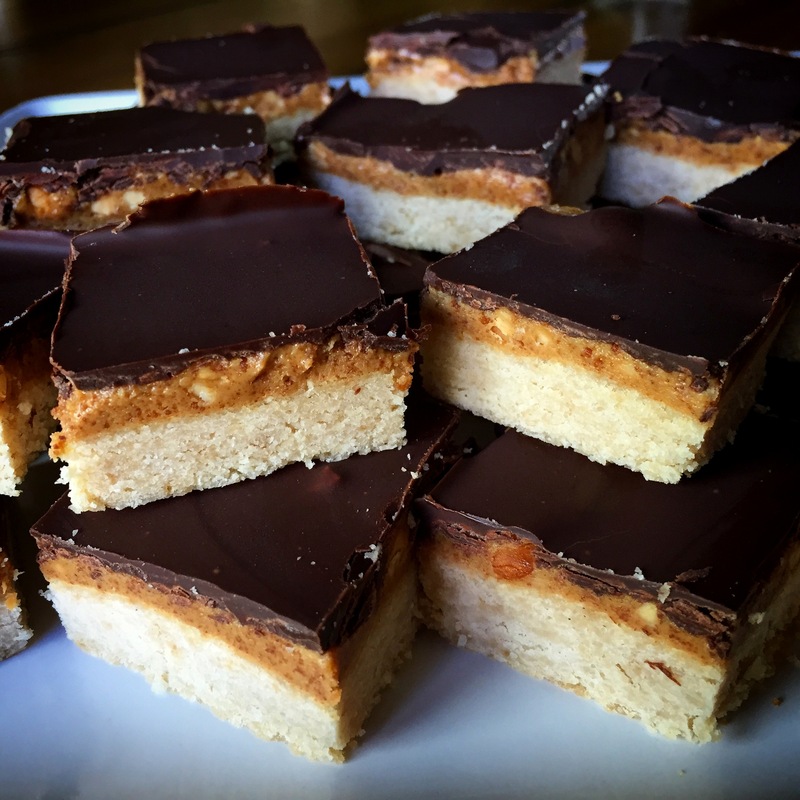 Slice into squares with a sharp knife and store in the fridge or freezer. I must be the only person in the world that does not have a jar of peanut butter in the house. I like Reese’s and chocolate peanut butter ice cream, but plain is just awful.